The former Union minister alleged that Rao lacked a plan for school education and as result, there was a huge gap between boy and girl students in the state. 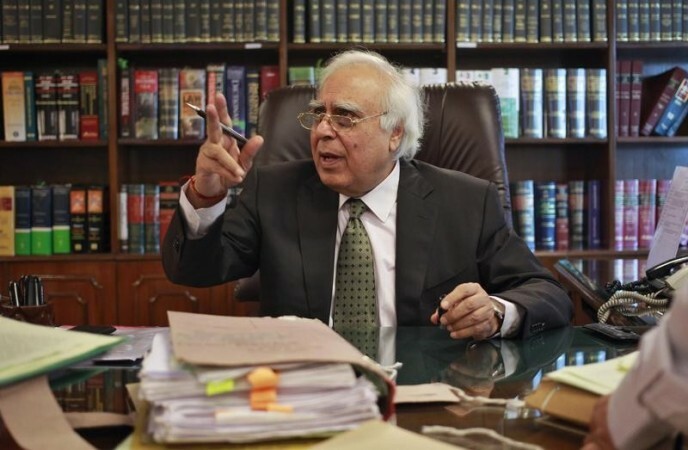 Senior Congress leader Kapil Sibal Sunday said the people of Telangana on December 7, the polling day, will "redesign" the mentality of Chief Minister K Chandrasekhar Rao who, he alleged, is interested in redesigning every project. "He (KCR) redesigns every project. I heard that he redesigned his(official) residence here also. There is a necessity to redesign his mentality. Now people will do that. On December 7, people will vote (against him) and redesign his mind," Sibal said at a press conference here. "Around 4,000 schools have been shut down in Telangana. Children had to walk long distances to go to their schools. Telangana has the highest dropout rate of girl students," he alleged. Sibal, who is a Rajya Sabha MP, said according to a study, many farmers took loans from private lenders and the debt waiver scheme announced by the K Chandrasekhar Rao government was of no use to them as it was meant for those who took bank loans. He alleged that Rao failed to fulfil his poll promises such as three acres land to Dalits. "KCR (as K Chandrasekhar Rao is popularly known) promised one super specialty hospital in every district headquarters. Ask him did you do it? 100 bedded hospital in every assembly constituency... Did you do it?" the Congress leader said while claiming that there were 19 lakh unemployed youth in Telangana.